Bobby Keys, the Rolling Stones saxophone player for more than 40 years and famous for that immortal sax solo in ‘Brown Sugar’, has died. Keys who had been unwell for months, was replaced on the recent Australian tour by Karl Denson. 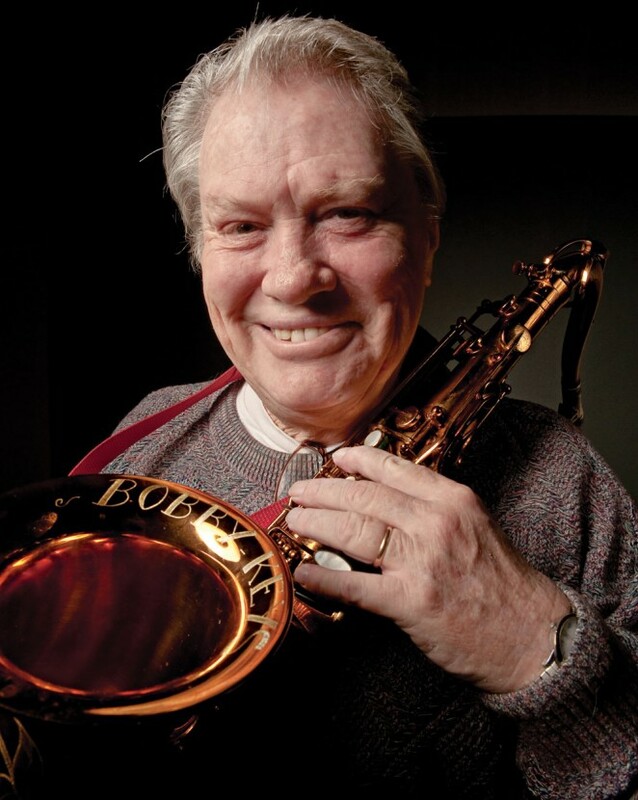 Born in 1943 in Texas, Keys started out playing sax in bands in the 50s and was called on as a session guy for legends such as Buddy Holly and Bobby Vee. Apart from his long association with The Rolling Stones, he has also recorded and performed with George Harrison, Joe Cocker, Humble Pie, Eric Clapton, The Faces and many, many other iconic artists. Misfortune has plagued The Rolling Stones this year, firstly with the suicide of Mick Jagger’s girlfriend L’Wren Scott. The original Australian dates were consequently postponed until November. Then a Jagger throat infection lead to the cancellation of the Hanging Rock concert for a second time. Now comes the sad news of Keys’ death. Fortunately, some Australian fans got to see Bobby Keys play with his own band The Suffering Bastards when they stayed behind in Australia after the March Stones tour postponement. Anyone who caught the show at Melbourne’s Thornbury Theatre witnessed an incredible rock show and a great musical history lesson. Keith Richards left this short but heartfelt message on his Facebook page this morning, “Another good bye to another good friend. I will miss you, Bobby.” In November, sources close to The Stones suggested that Keys was in rehab and doing well, hoping to join the band again in 2015. However, his battle with cirrhosis came to an end this morning. RIP Bobby Keys, your work will live on with classic album recordings such as Sticky Fingers, Exile on Main Street, All Things Must Past and Mad Dogs and Englishmen. On the surface, an unusual coupling of artists for a tour. 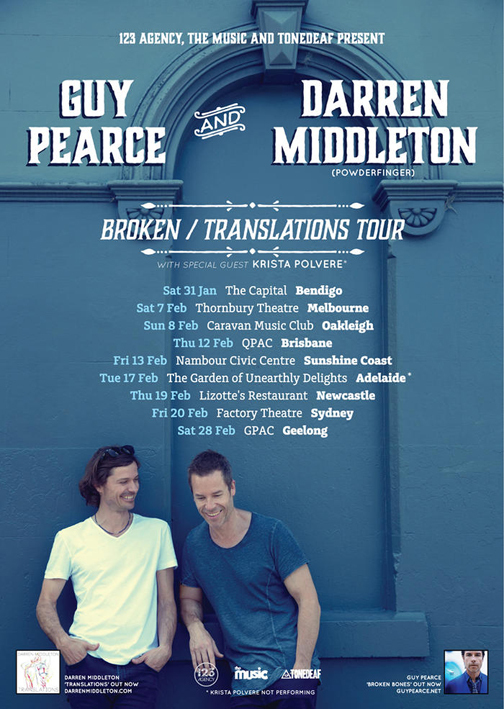 However Darren Middleton, former Powderfinger guitarist and now a respected solo artist in his own right, teams up with acclaimed actor, singer-songwriter Guy Pearce to perform in intimate venues around the country from New Year’s Eve. “Guy and I met a little while ago, hit it off ridiculously and have decided to do a little run of shows together,” said Middleton of his new tour buddy. Darren was once a contributor to Australian Musician. In 2009, Powderfinger guest-edited the magazine just before the release of their final album. A search of Powderfinger on www.australianmusician.com.au will reveal all of those articles. Middleton has also made the top 50 cut in our Best Singer/Guitarist poll. To vote for Darren, view the poll here. 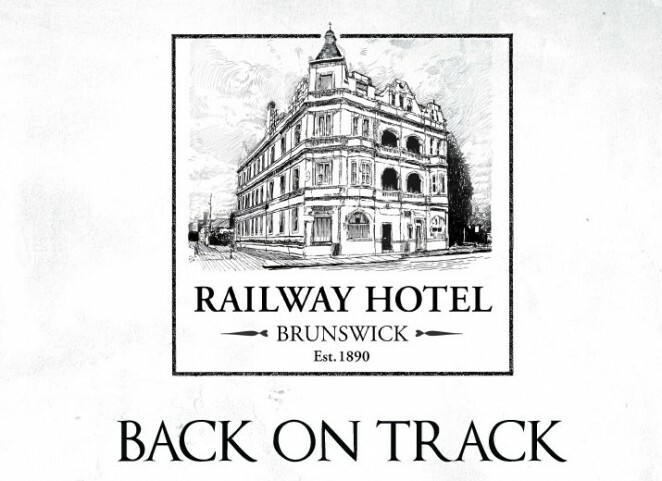 Great to see that the Railway Hotel in Brunswick (Melbourne) at 291 Albert St, has been back in action for a few weeks now, providing yet another quality venue for artists and punters to enjoy. Next week the hotel will be hosting two record launches; The Horns (Friday) and The Cants and Loose Pills (Syd) on Saturday night as well as a rare appearance from Patrick Donovan’s (Music Victoria) band Cows Muff and John Von Goes legendary band Alloy Head and the Victor Motors on Friday December 19. Are launching their debut single, ‘Play With Fire’, on Friday December 5th. It all kicks off at 8 and its just an easy 10 bucks on the door. The single is going gangbusters on JJJ. LOOSE PILLS (featuring members from New Christs, The Eastern Dark, Lemonheads, Orange Humble Band, Handsome Young Strangers, The Scruffs….phew!) are headed on down the Hume Hwy to launch their fantabulous new album, “Rx” at The Railway Hotel, Brunswick on Saturday, December 6th. KINGS OF CHAOS CURRENT LINE UP A SPIN OUT! 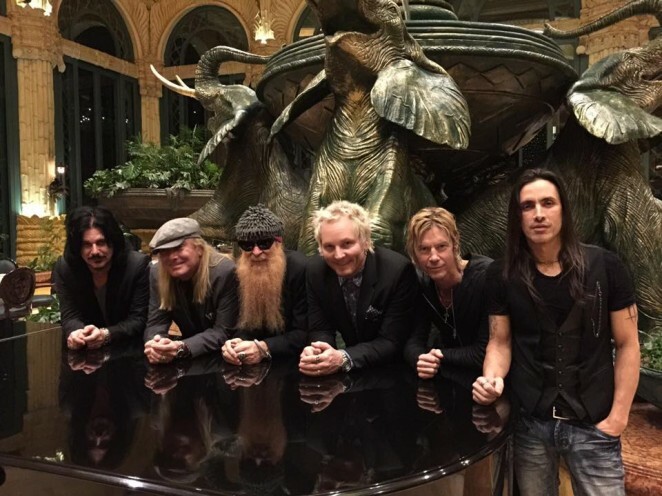 The new lineup of supergroup Kings of Chaos includes: Steven Tyler, Billy Gibbons, Robin Zander, Duff McKagan, Matt Sorum, Gilby Clarke and Nuno Bettencourt. The band are currently at Sun City in South Africa performing the songs of Aerosmith, Guns n Roses, ZZ Top, Cheap Trick, Extreme and more. The band just posted this pic (minus Tyler, who they say was in the casino) to their Facebook page. The 2014 ARIA Awards have been run and won and there’s nothing left to do but examine them, so let’s do that. 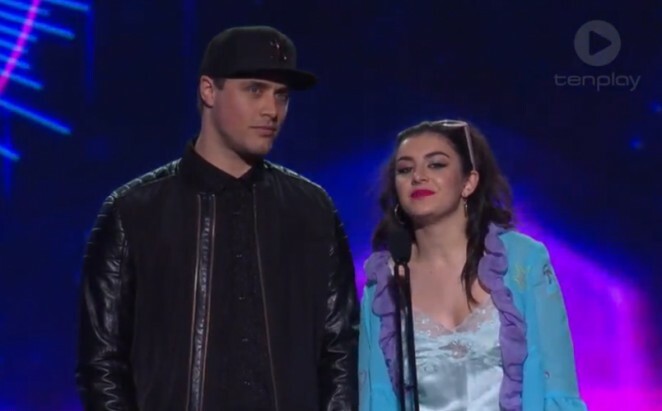 Arguments about how the ARIAs are televised aside (I’ll get to that in a minute), the awards do spotlight Australia’s increasingly important contribution to the world of contemporary music and there were many positives about last night’s show. The international success this year of Sheppard, Sia and 5 Seconds of Summer has been extraordinary and it was great to see those achievements being recognised. The pairing of Sheppard with the Melbourne Ska Orchestra was a nice touch. The induction of Molly Meldrum into the Hall of Fame and his acceptance speech was a heartwarming moment. 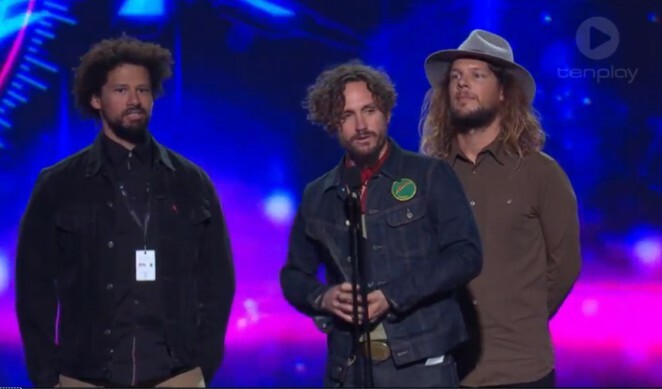 John Butler was all class in his acceptance speech. 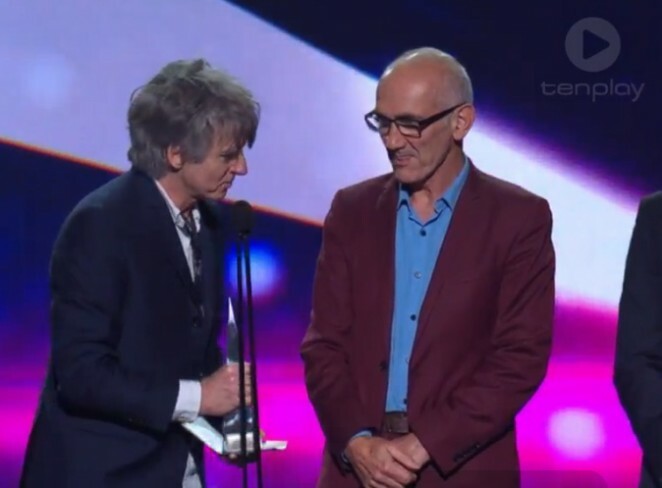 Paul Kelly and Neil Finn gave an old school performance and showed that songs will always prevail over sizzle. Dan Sultan delivered a good dose of soulful rock ‘n’ roll. Chet Faker on piano, accompanied only by cello gave a chilling performance of his tune Talk is Cheap. Sia’s wins were well deserved and unfortunate that her video acceptance speech was clumsily broadcast. On her Twitter account today she posted that she had made 4 award acceptance videos and only one got used. She also offered her ARIA awards up to any fan who could prove that they have recently bestowed a good deed on the world. Of course, Katy Perry and One Direction were there for the money shots. It’s apt to acknowledge that behind many of the artists performing on the night were a bunch of talented backing musicians who scored a gig and got some fine exposure. The ARIA awards are also a great opportunity for the industry to come together and celebrate a year of hard work. Artists get to meet other artists, network, exchange war stories and maybe even discuss collaboration opportunities. 2014 was a wonderful year for Australian music and at last night’s award presentation, that was recognised. illy with someone from overseas! I used to whinge and whine to anyone who would listen about the annual ARIAs telecast and its lack of dignity. Let’s face it, there have been some less than slick productions in the past. Lately, I have resigned myself to the fact that in order for the awards to be televised, and for Australian music to be placed front and centre in the mainstream media, then there has to be a commercial value for the show’s presenters. In order for it to be of commercial value, it has to follow the production aesthetic and philosophies of TV’s most marketable shows, which happen to be things like X Factor, The Voice, Big Brother, Masterchef etc. It also means that to appeal to a mass audience, the awards show has to feature recording artists and TV personalities who have the biggest reach. The fact that those people mainly appeal to the young female teen market is irrelevant to the presenters, it’s a number’s game. So in order for the likes of respected, quality artists like Paul Kelly, Neil Finn, Chet Faker, Dan Sultan, Illy, Hilltop Hoods, Peking Duk etc to receive their due recognition, they have to be packaged alongside some manufactured pop culture icons. It also means that non-music related TV staffers such as Osher G or whatever his name is this week, and Angela Bishop, get to host and present it and slot in subtle cross promotional network references as directed. In today’s fickle, celebrity-driven, social media world, if you want the ARIAs to be broadcast on commercial telly and made a big deal of on the internet, then that’s the equation. At one end of our music spectrum there’s your X Factor/Voice style artists and at the other, there’s the Triple J pool. If only the ARIA award telecast could reflect the fact that there’s a whole other world of quality Australian music in between. It wasn’t so long ago that singer, songwriter and guitarist Hamish Anderson was hawking his undiscovered bluesy wares on Triple J’s Unearthed. Now he flits between Melbourne and LA, recording and performing with some of the world’s finest musicians. As he tells Greg Phillips, life ain’t so bad at all….